If you're new to online Bingo, it can be hard to know at which of the hundreds of Bingo sites there are available on the net you should start. 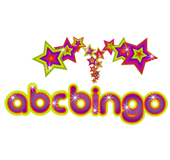 If you want to play at a site that's as easy as learning your ABC, then ABC Bingo is the site for you. All you need to do is register, deposit £10 (you'll get £20 free as a thank you) and starting playing. You'll soon be having fun and winning some tidy cash prizes. 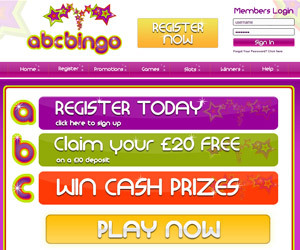 Cassava Enterprises run ABC Bingo, and this Gibraltar-based company is one of the biggest on the net when it comes to online Bingo. With the backing of Cassava, you really can't go wrong! Sign up … it's as easy as A … B … C! There are always plenty of special promotions available at any Cassava Bingo site. Make sure you keep one eye on the promotions page.